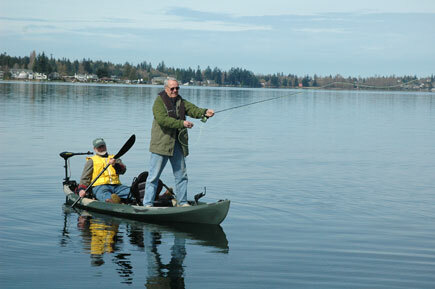 Kayak Fishing & Canoe Fishing :The stability anglers want with the versatility to fish in all bodies of water. Rigged up and ready to paddle or troll to your favorite fishing hole! Paddling: For those who want to enjoy the water and their companions without the technical aspects of a traditional canoe or kayak. Easy to paddle, stable, and comfortable, the NuCanoe is your ticket to enjoyment. Waterfowl Hunting: A waterfowl hunting boat that provides great safety, stability for shooting, and room for the dog. With options like a layout seat and trolling motor, the NuCanoe Waterfowler is the new standard. Rowing: Glide through the water, rowing the NuCanoe to your favorite fishing hole or for a cruise around the lake on the lazy afternoon. The NuCanoe rower is easy to use, can be set up for a single rower or for a rower and a passenger.